The RAM® Climbing Wall is the first artificial climbing structure in the world, capable of reshaping itself, covering a full range of climbing profiles. 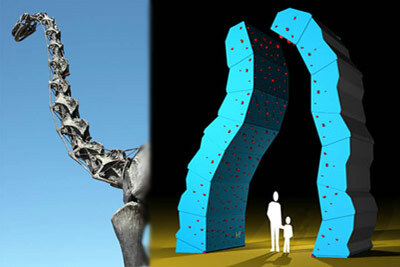 With a similar structure to that of the backbone, RAM® climbing wall is built from a succession of articulated modules. Each of them rotates independently on itself in both directions. Children and expert climbers can enjoy from the same RAM® model. Just reset RAM's profile at will and each time. 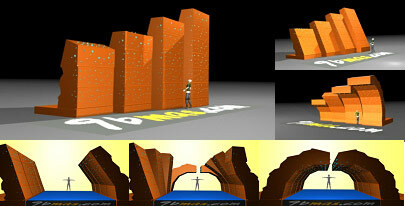 For the motorized version, RAM® climbing wall reshapes itself and sets its new form in few seconds. The climber can control RAM® Climbing Wall reshaping it with a wireless remote control. Thus, the climber can customize at anytime its climbing experience. 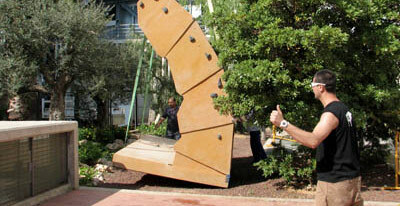 The semi-static version allows reshaping the RAM® climbing wall occasionally. Both versions are equipped with self-supporting platform. This handy item allows the location of the RAM® climbing wall without any anchors, nor preliminary settings before installation and its transport in a compact unit. You can move and relocate temporarily or permanently one or more RAM® units quickly and easily. Every RAM® model can create an unlimited number of climbing routes. RAM® Climbing Walls different sizes. RAM® structures have demonstrated excellent performances outdoors under severe weather conditions. Quality + Safety. 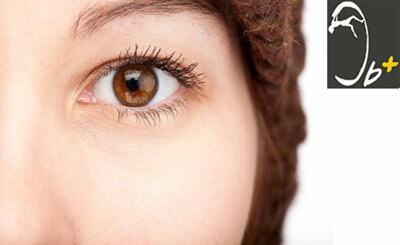 Safety and quality go together. Each component of any product developed by 9bmas fulfils its regulation. In the case of Climbing Walls, we follow the European standard EN 12572. Until now, artificial climbing walls were limited to static climbing structures, recreating in a certain way the forms of the natural rocky wall that can be found in a natural environment. The only way to change the climbing experience was to change the type and number of climbing holds on the wall or switch to a different climbing wall located somewhere else. 9b + Engineering bring a radical revolution to the world of artificial climbing structures. Given its capacity to transform, RAM® is a versatile climbing wall, excellent for both training and climbing, and to develop sports and leisure activities. 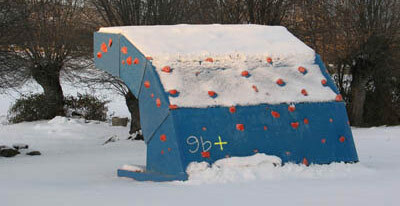 With RAM® Climbing Wall, climbers can simulate climbing routes from natural rock environment and practice them. 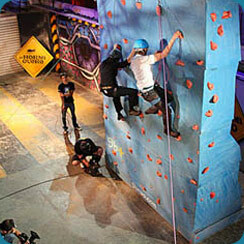 Boulder, rope climbing, artificial climbing tests… Perfect for climbing competitions. The RAM® Climbing Wall is an excellent element in marketing actions, an attractive advertising support in an innovative, dynamic and sporty environment.